An Awning window is an opening window that is hinged at the top and swings open from the bottom out. This window offers excellent ventilation, while keeping rain out. A roto-gear type operator opens and closes the window with a cranking motion. The window has two locks on each side that work with multipoint locking bars on each side which pull the sash of the window in evenly when closing with the locking handle on each side. The Casement window is hinged so that the sash opens a full 90 degrees outward, either to the right or the left in a swinging motion. 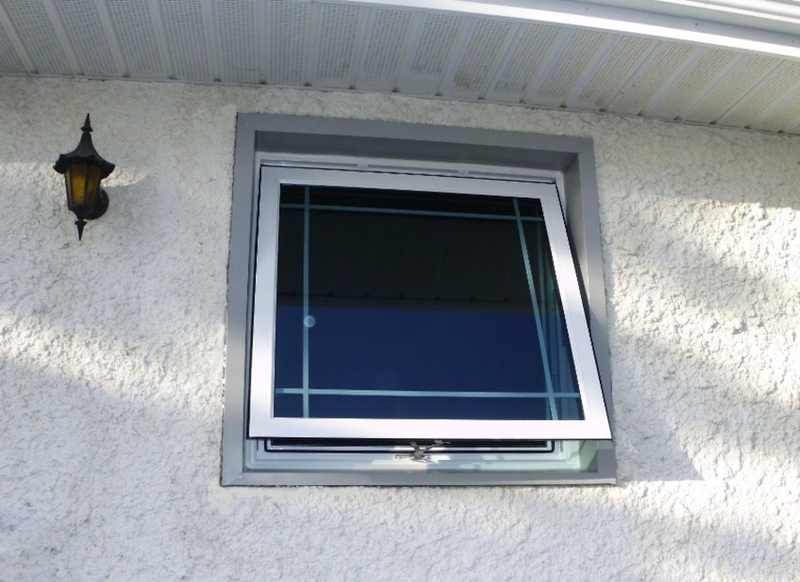 A roto gear operator is used to crank the window outwards from the inside of the house providing a great unobstructed view to the outside as well as superior ventilation. It uses a multipoint locking system which pulls the window in evenly in multiple locations with the operation of a single locking handle. 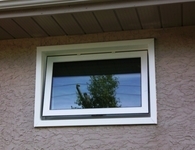 This creates an even seal around the perimeter of the window, preventing air infiltration and offers maximum security. 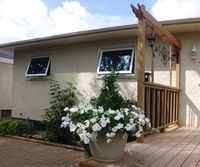 Casement windows can be customized to work with the functionality of your home. For instance, if your window is located in a bedroom, it can be designed to open fully with no obtructions to allow for fire escape. 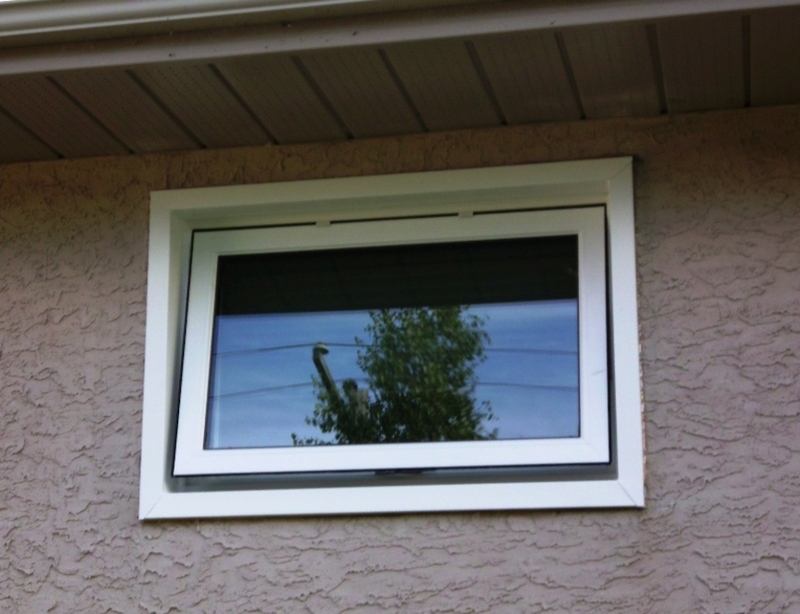 If your casement window is on an upper level of your home where it is hard to wash the window from the outside, your hardware can be desgined to allow you the ability to wash your exterior glass from the inside of your home, while still offering an opening large enough to meet Egress code. Screens are included with your new opening windows. Manufactured with fiberglass screen material and a sturdy aluminum screen bar, our screens are made specifically for each opening window and are guaranteed to fit. The screen bar fits within the opening of the sash with a 1/4" lip that fits over the edge of the frame. This is held in place with little tabs that can be tightened or loosened for easy removal. This system holds the screen in place and is sturdy enough to be put on and taken off year after year without the risk of damaging the screen material or bending the screen bar. We always recommend removing the screens for the winters for better air flow to the glass, and to allow more light. When designing your opening windows our professional sales consultant will work with you and advise you which windows will work best as openers to allow maximum air flow, fire escape, exhaust, and versatility in your home. All of our opening windows have "reset blocks", so every time you close and lock your windows, it resets your sash to the original factory installed setting.